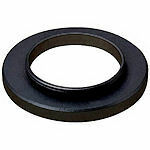 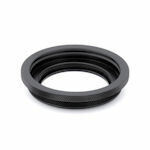 The Kenko 49-52mm Step Up Ring enables you to connect filters or accessories with a 52mm thread to a camera lens with a 49mm filter thread. 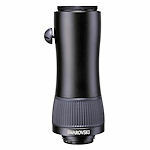 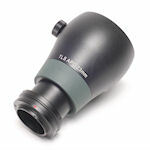 Kowa Camera Mount for Photo Adapter - Micro Four Thirds allows you to connect your micro 4/3 camera to a spotting scope for Digiscoping. 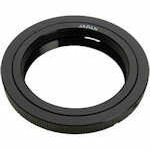 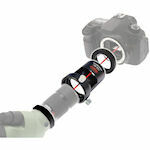 The Kowa T-2 Ring for Sony E-mount allows connection of any T-2 device to a Sony E-mount camera. 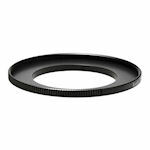 The Kowa TSN-CM2-CE is a photo adapter T-ring that acts as a camera mount specific for a Canon EOS autofocus digital camera. 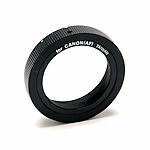 The T ring attaches the camera to the rest of the digital camera adapter. 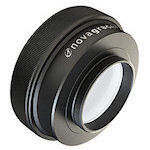 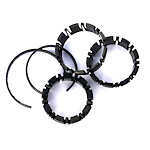 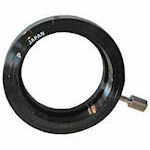 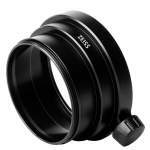 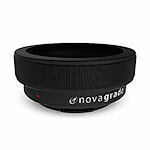 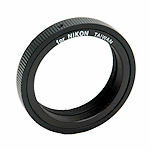 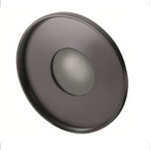 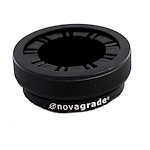 The Kowa TSN-CM2-N is a photo adapter T-ring that acts as a camera mount specific for a Nikon SLR digital camera. 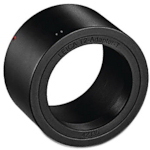 The T ring attaches the camera to the rest of the digital camera adapter. 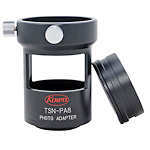 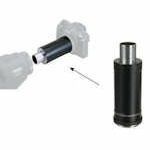 The Kowa TSN-CR3 is a specific adapter that allows the Kowa TSN-PZ zoom digital camera adapter to attach to TSN-660/600 Series Scopes. 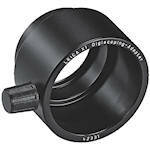 The X1 / X2 Digiscoping Adapter is simply screwed into the filter thread of the Leica X1 and locked in place at the scope's eyepiece with a bolt. 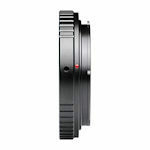 No other adjustments to the camera are required. 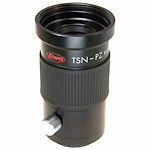 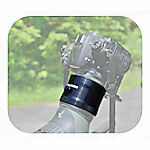 Camera Adapter for PF80 and PF100 Spotting Scopes. 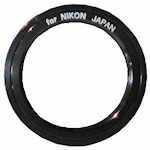 Works with Pentax 35mm cameras only. 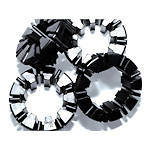 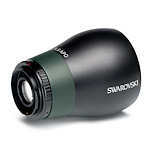 Swarovski TLS photo equipment for ATS/STS 80/65 (HD) and CT 85: rapid and silent connection to all SLR cameras. 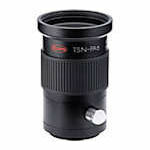 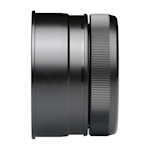 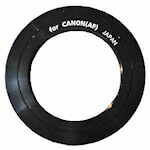 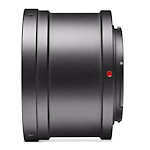 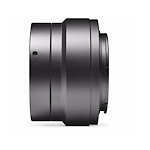 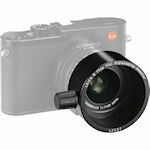 Replaces expensive telephoto lens and can be attached with standard intermediate ring. 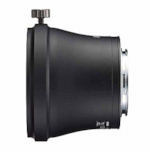 The Swarovski T2 Adapter for Canon EOS cameras is built to match the TLS APO digital camera adapter. 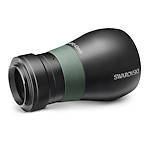 The Swarovski T2 Adapter for Micro 4/3 cameras is built to match the TLS APO 23mm Telephoto Lens System Apochromat for ATS / STS / STR. 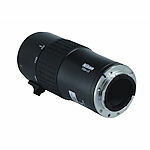 The Swarovski T2 Adapter for Nikon cameras is built to match the TLS APO digital camera adapter. 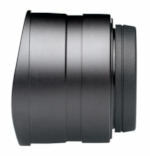 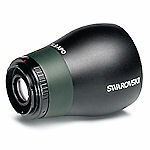 The Swarovski T2 Adapter for Sony cameras is built to match the TLS APO digital camera adapter. 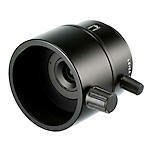 The T2 Adapter for Sony E-Mount lets you easily mount your Sony digital camera to a TLS APO 30 mm or 43 mm camera adapter (sold separately). 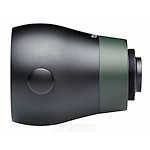 The Zeiss Victory Harpia Photo Lens Adaptor M52 lets you combine your Victory Harpia Spotting Scope with your digital camera, transforming the scope into a fantastic telephoto lens system. 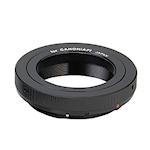 The Zeiss Victory Harpia Photo Lens Adaptor M58 lets you pair your Victory Harpia Spotting Scope to your digital camera so you can use it as an expert-level telephoto lens system.